Lubna Marium participated in the 1971 liberation war by working in the Refugee Camps and later an Advance Dressing Center of Sector 7, with her mother Sultana Zaman and sister Naila Khan. Her father, Quazi Nooruzzaman, was Sector Commander of Sector 7, where her younger brother Nadeem was a muktijoddha. Circumstantially she joined her sister, Naila, who was with the Muktishongrami Shilpi Shongstha, when Lear Levin was filming them. That footage was later turned into ‘MUKTIR GAAN’ by Tareque Masud. 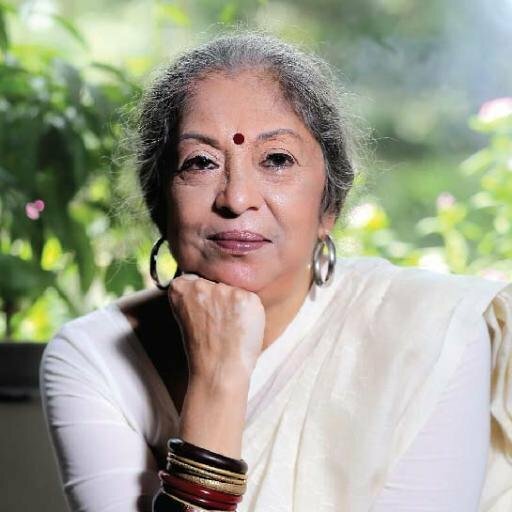 Today, Lubna is director of Shadhona — a center for promotion of South Asian performing arts, and principal of Kalpataru — a school of dance, music and arts in Dhaka. Here she shares her thoughts on Shahbag. The movement should be about banning ‘religion in politics’, about banning Jamaat. Not a blood-thirsty call for ‘a death for a death’ . Taking another life is in itself dehumanizing and at the end of the day doesn’t bring peace to the mind. My most painful memory is that of standing in front of a line of dead bodies of brave muktijodhas I knew personally. Killing the Pakistani soldiers would never be any form of compensation. It wouldn’t take away the pain. There would just be a realization that I too can be inhuman and murderous. I meant that WE become dehumanized. By chanting ‘death, death, death’, we are blunting out our own sensibilities. My younger brother, Nadeem, at the age of 15, was a Muktijoddha. As a young person he used to read philosophy all the time – Buddhism, Marx, Sarte. And then a machine gun was placed in his hand. His most horrifying experience was when our Muktijoddhas caught a Pakistani soldier and gouged out the soldier’s eyes. Nadeem was never able to overcome the horror of war, and later committed suicide. Next Surplus Lives! Great Offers!